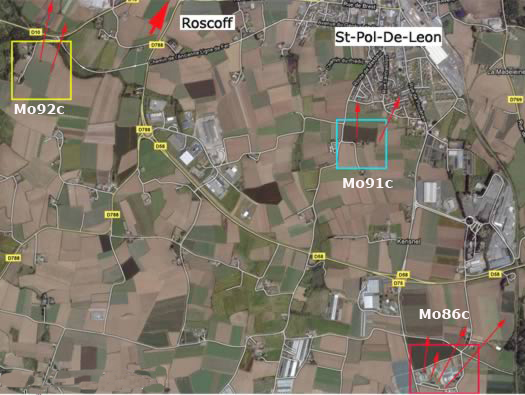 Mo86c Batterie Versendoket 2/A.R.266., St-Pol de Leon, K.V.U. Gruppe Roscoff, Brittany. Roscoff is the furthest port on the north west coast of France with sailing links now to Ireland and Plymouth. 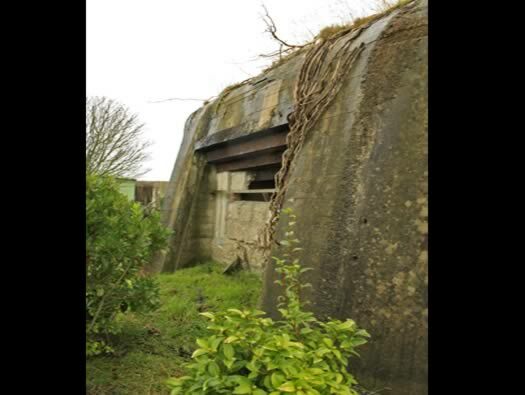 The Batterie we are looking at here is just south of St-Pol de Leon. 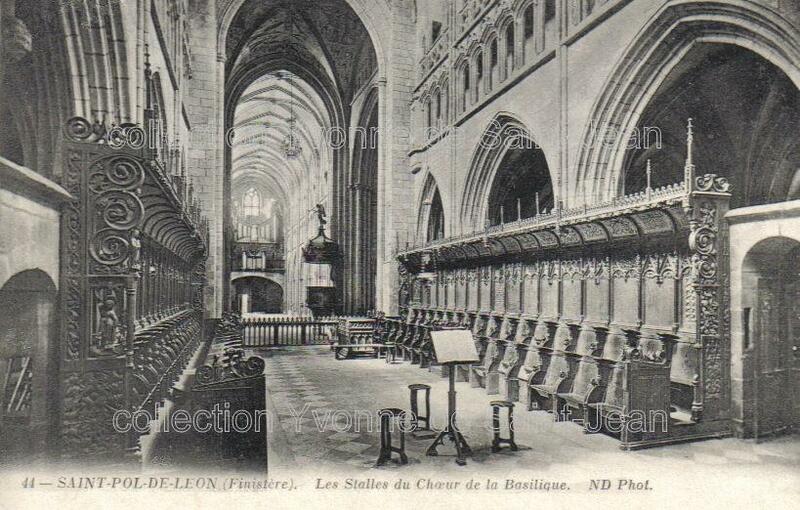 St-Pol de Leon by Sarazin de Belmont mid 1800's. 4 x R669's casemates Max, Moritz, Ulli & Ural. 4 x 7.62cm FK39 (r) guns. 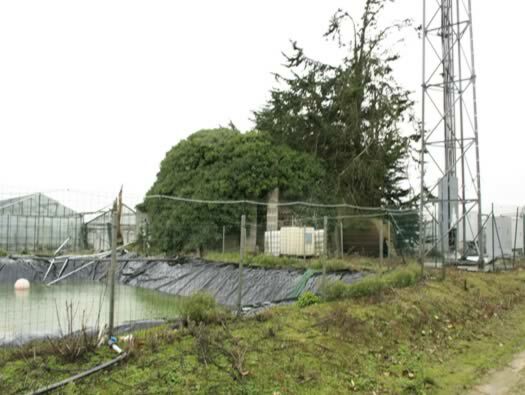 This Batterie was to cover Carentec & the island of Callot. 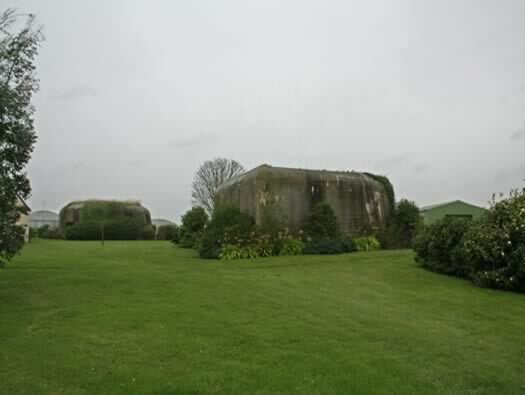 The Batterie never fired a shot in anger and all its troops & equipment were withdrawn into Brest when the Americans closed in. R669's casemate for a field gun with a 60degree arc of firing. 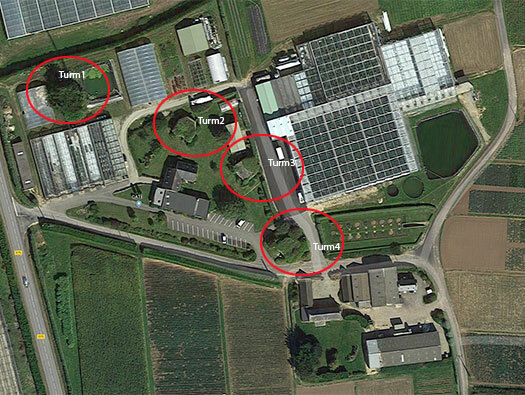 Two small ammunition rooms and a rear entrance. 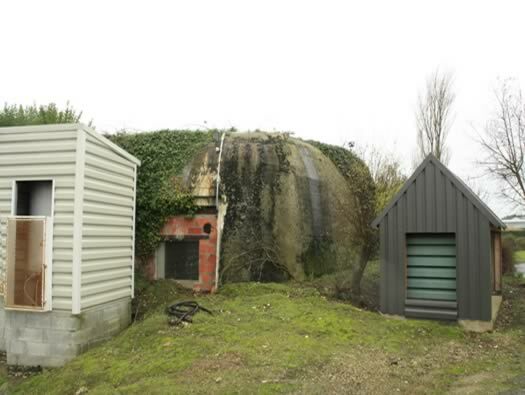 Turm 2 R669 casemate 'Moritz'. This embrasure is now filled in with a window. This one seems to have a small flanking wall on its front left side. Turm 2 R669 casemate rear 'Moritz'. 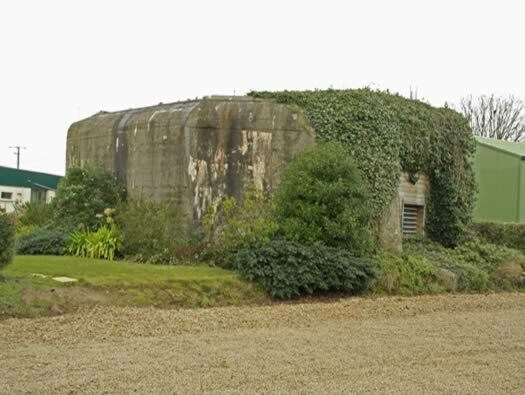 The rear doors I believe were to be armoured, they may never have been fitted as this Batterie was being built in early 1944.
there were small ammunition bunkers and the red ones may have been for fuze's?. 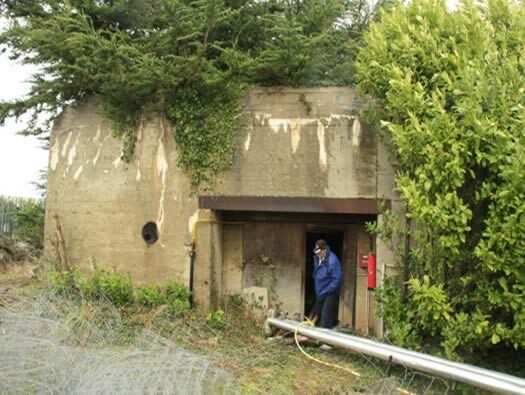 There were crew bunkers & a bunker for power, usually a small generator. Turm 2 'Moritz' and Turm 3 'Ulli'. Turm 3 'Ulli' rear entrance. The gun would pass through the rear entrance and would be set up to fire through the front embrasure. 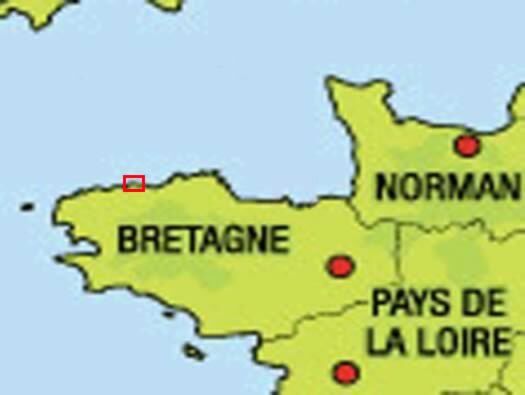 Fire orders would be sent from the fire control post at Roscoff Mo94. 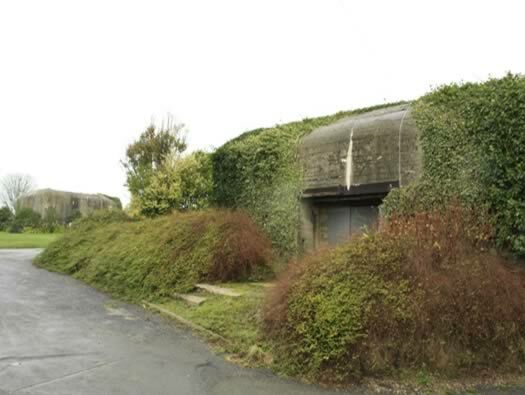 R627 an artillery observation bunker with a canopy at Roscoff Mo94. Command cables coming from Roscoff. Turm 3 'Ulli' gun room. The gun room has plenty of space. 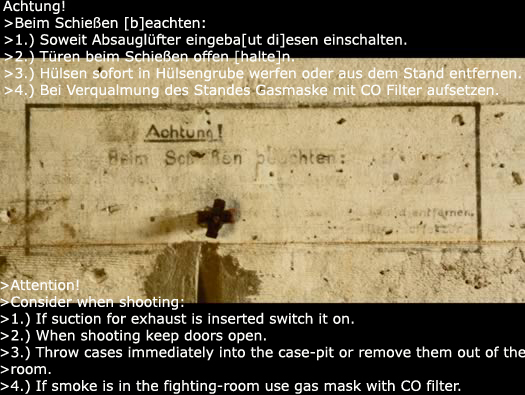 Air extraction in the roof to remove the smoke after the gun has fired. 200mm air vents on the outside back wall of the bunker. Turm 3 'Ulli' ammunition room. 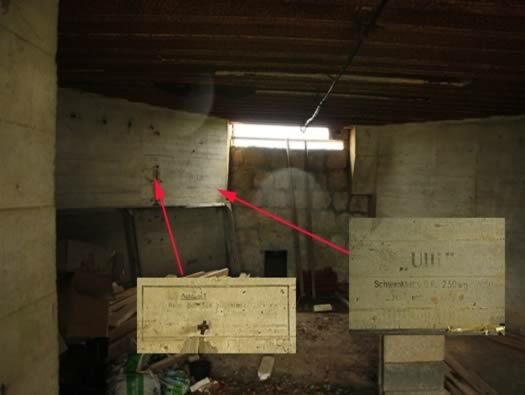 The ammunition niche with a painted arrow. 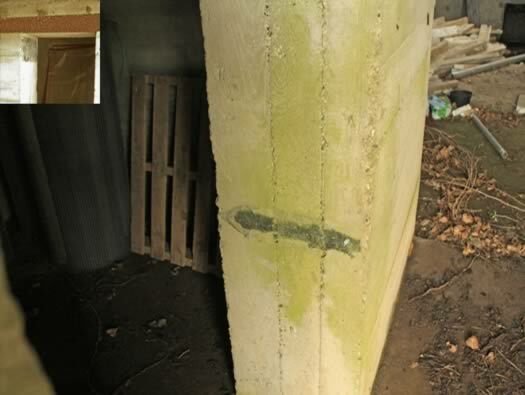 Inset : the black mark on the wall is for chalking the ammunition scales in the niche. Inlet & outlet for the smoke to be removed from the gun room. There would have been a large electric fan placed here. Turm 3 'Ulli' gun embrasure. 7.62 Batterie firing in the open. Rear entrance of Ural, we did not go right inside as there is a heating plant running. There was one 2cm Flak 30 protecting the Batterie. Turm 3 'Ulli' the bunkers code name "schwenkber" means "Schwenkbereich" - Swivelling range. The angle the gun can fire in an H669 casemate is 60degrees. The angle the gun can fire in an H669 casemate is 60degrees. These were horse drawn Batterie and the guns would have been in field positions since they arrived in Brittany. Then in 1944 they were placed inside casemates. 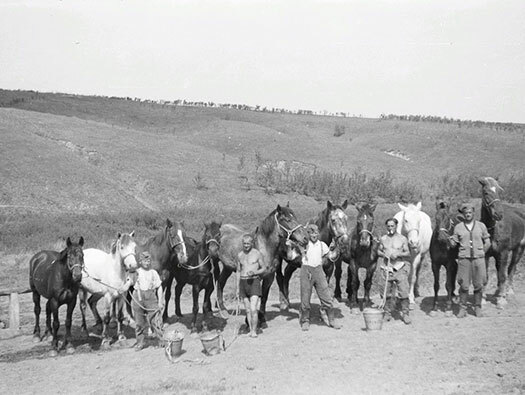 The horses would have been kept and used as personal transport and the delivery of stores and ammunition. 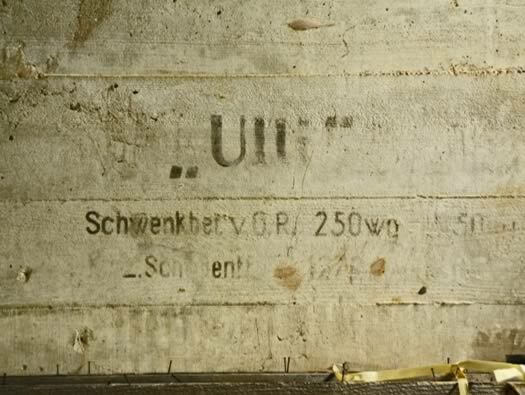 "Ulli". Thank you Georg for the translation. The bay they were there to protect. 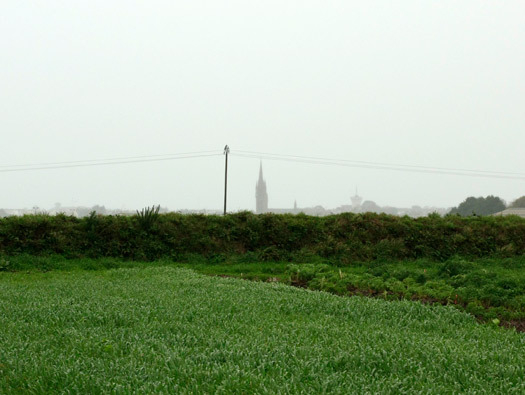 The Germans kept 3 horse-drawn batteries permanently in the region of Saint-Pol de Leon to defend the Bay of Morlaix. 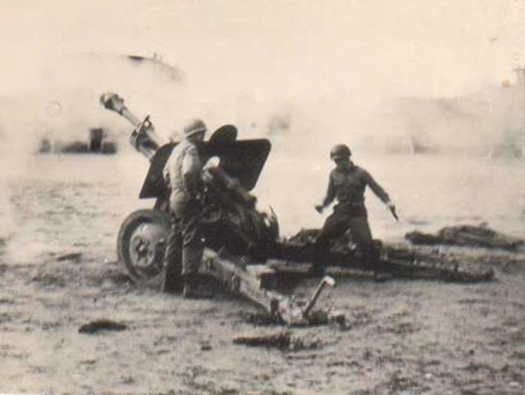 They were mobile field artillery pieces of 10.5cm to 1.50cm along with heavy anti-aircraft guns & searchlights. 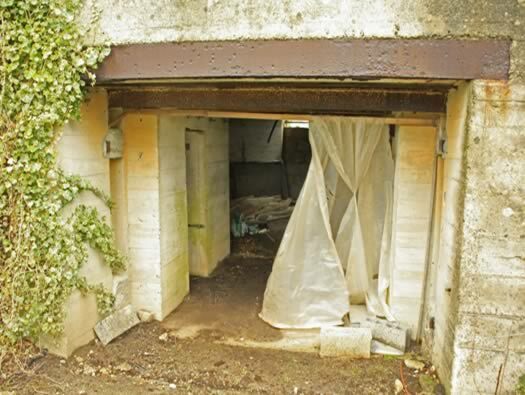 It was not until June 1943 - February 1944 that the construction of 12 casemates type 669 starts and many underground bunkers used to shelter personnel, ammunition & power. The staff consisted of one hundred men, including many Russian assigned to teams.